For our November 27th update, we’ll be getting our Fate / stay night costumes, Lottie and Lubert partner cards, super hard TA quests, and the Cradle of Darkness Emergency Quest. Campaigns and additional information will be appended to this post over the course of the night. 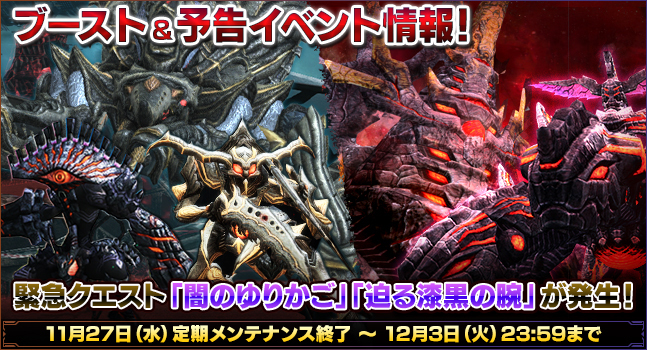 Due to an issue that prevented players from purchasing items from the AC Shop, the “Spend AC, Get Items Campaign 5” has been extended until December 18th’s maintenance. 11.28 @ 20 ~ 22:30: +50% EXP and +100% Rare Enemy Chances for F.Continent Exploration. Use the Friend Referral System during the campaign period to receive several items. The friend referral system is available for new players who have yet to create their first character. When you invite a friend, have them enter your player ID upon creating their first character. Please keep in mind that they have to be on the same ship as you. Both parties will receive some mail if the process was successful. 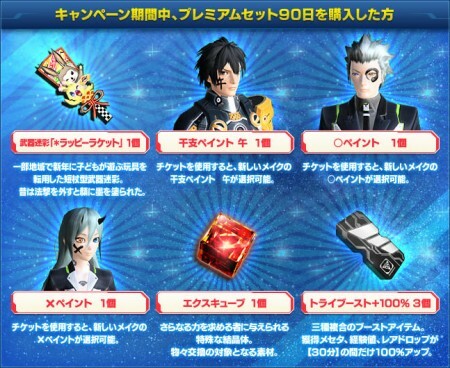 When that player reaches level 10/20/30/40 in any class, you’ll receive ARKS Badges you can use to trade at the Badge Exchange Shop. 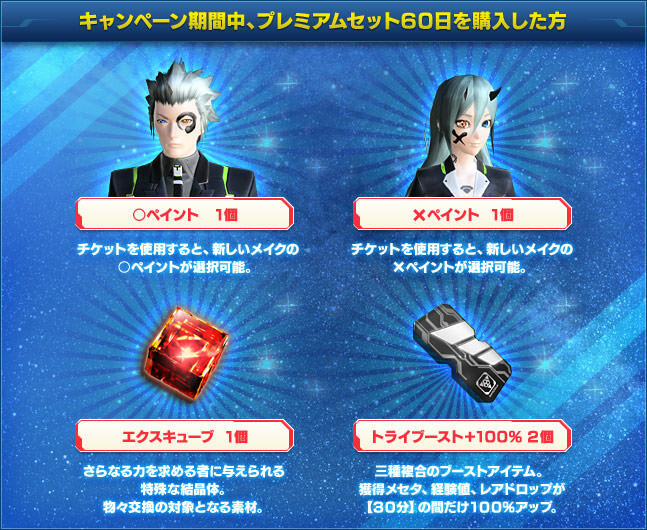 Be sure to check out the new items that were added to the Badge Exchange Shop on November 27th! Clear Hans Client Orders this week to obtain several prizes. If you purchase 30, 60, or 90 day premium sets during the campaign period, you’ll receive a special prize. Please note, you must PURCHASE the premium sets during the campaign period to qualify. You can qualify for each of the presents separately, for example, if you purchase both the 60 and 90 day premium sets, aside from the Rappy Racket and Zodiac Paint, you’ll receive two YES and NO Paints, two EXCubes, and five +100% Triboosters. However if you purchase two or more of the same premium sets, you’ll only qualify for the initial set. If you buy AC during the campaign period, you’ll receive several items. So if you purchased 5000+ AC, you’ll qualify for all of the presents listed above.